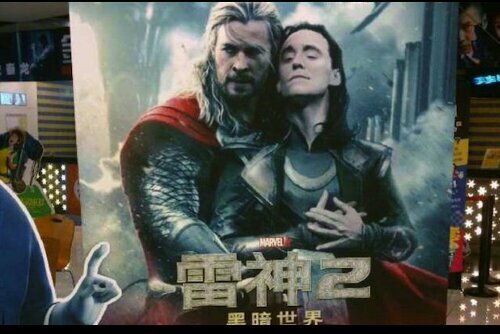 If China wants to turn Thor 2 into a brotherly romance let them do it. Brother on brother superhero action is what sells in 2013. Natalie Portman post baby does not do it for the Chinese audience. Give the people what they want! Posted on November 8, 2013, in Average Blog Posts and tagged china, fan, movie, poster, Thor. Bookmark the permalink. Leave a comment.